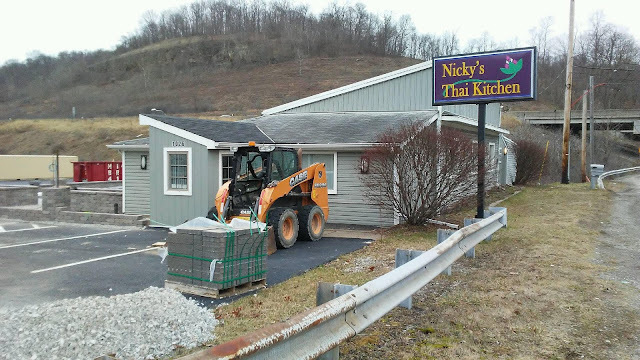 PennsylvAsia: Nicky's Thai Kitchen North Hills location to open in mid-April. Nicky's Thai Kitchen North Hills location to open in mid-April. The Nicky's Thai Kitchen coming to Mt. Nebo Road in the North Hills is planning on a mid-April opening. I photographed early signage back in January; earlier anticipated openings in February and March were delayed. The new restaurant will open at 1026 Mt. Nebo Rd. (map) in what was Recipes Remembered and, most recently, a Chinese restaurant.